If you’re a copy writer or marketer, chances are that you’ve heard this piece of advice. 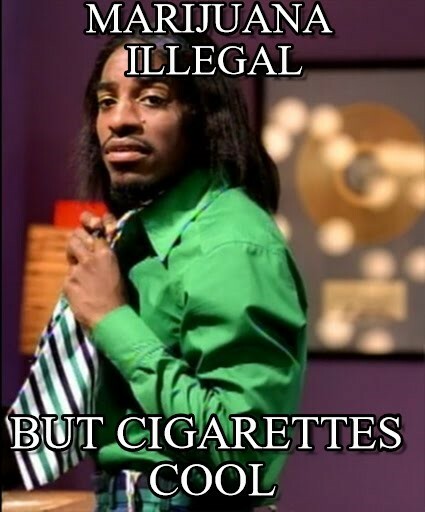 It sort of makes sense, right? Well as a linguist who studies marketing (and a former copy writer who was given this advice), I want to explain to you why it is misleading at best and flat out wrong at worst. 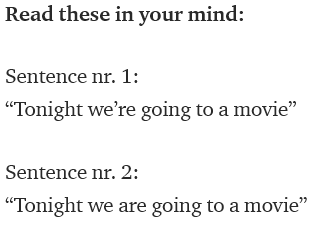 These days it is very easy to check whether verbs actually work better than adjectives in copy. You simply take many pieces of copy (texts) and use computer programs to tag each word for the part of speech it is. Then you can see whether the better, i.e. 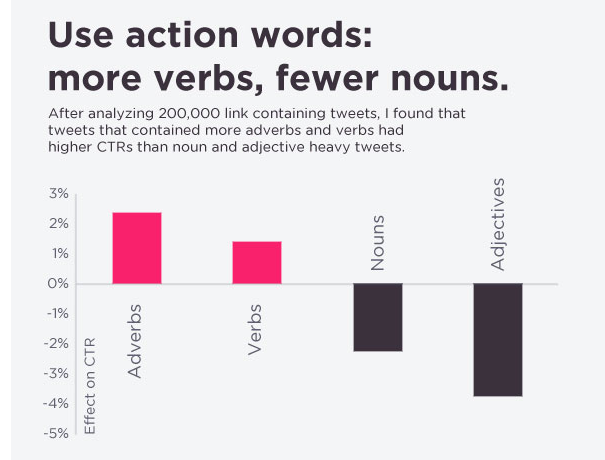 more successful, pieces of copy use more verbs than adjectives. This type of analysis is what I’m writing my PhD on (marketers and copy writers, you should get in touch). Hooray! He uses more verbs than adjectives. The only thing is that those frequencies don’t tell the whole story. They would if all verbs are equal, but those of us who study language know that some verbs are more equal than others. Look at Mr. Rutherford’s advice again. He singles out the verbs speeds through, relieves, and produces as being better than the adjectives quick, easy, and powerful. Disregarding the fact that the first verb in there is a phrasal verb, what his examples have in common is that the verbs are all -s forms of lexical verbs (gives, takes, etc.) and the adjectives are all general adjectives (according to CLAWS, the part-of-speech tagger I used). 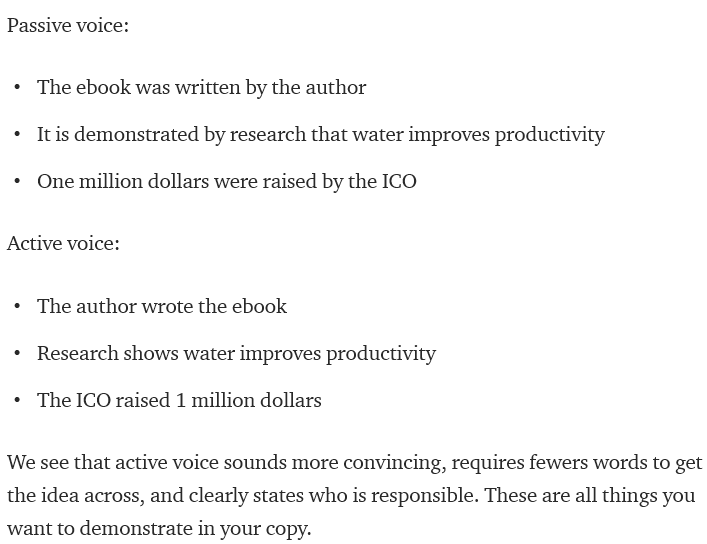 This is important because a good copy writer would obviously want to say that their product produces results and not that it produced results. Or as Mr. Rutherford says “People want a product or service that does” and not presumably one that did. So what do the numbers look like if we compare his use of -s form lexical verbs to general adjectives? Again, things don’t look so good. The verbs are still less frequent than the general adjectives. 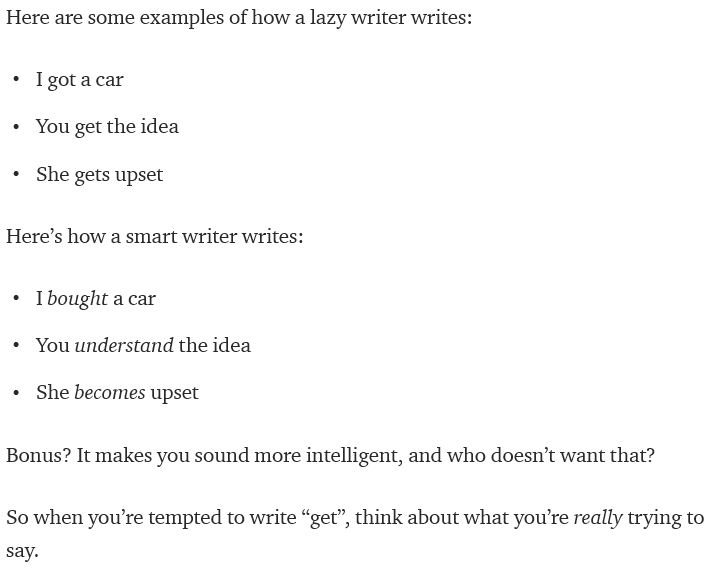 So is there something to writing good copy other than just “use verbs instead of adjectives”? I thought you’d never ask. 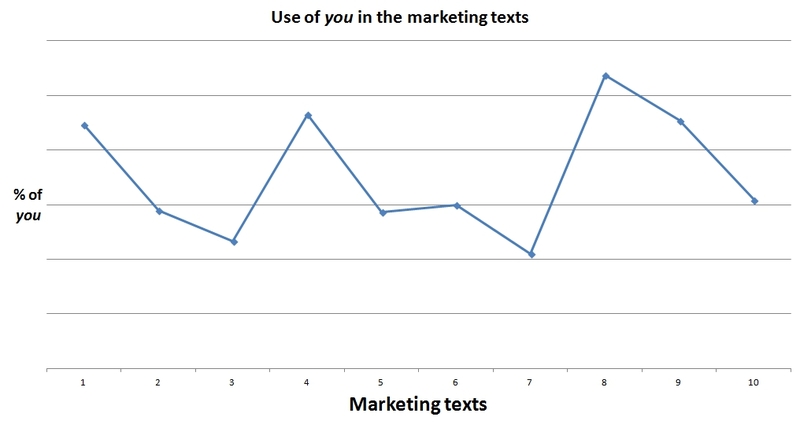 I wrote this post because the empirical research of marketing copy is exactly what I study. I call it Econolinguistics. 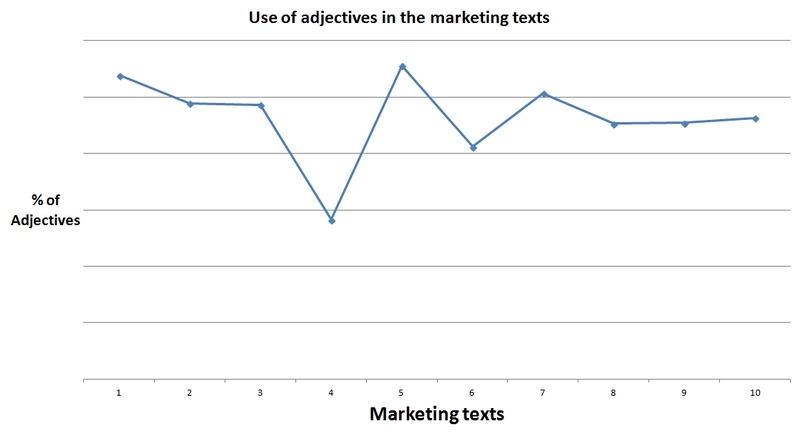 Using this type of analysis, I have found that using more verbs or more adjectives does not relate to selling more products. Take a look at these numbers. 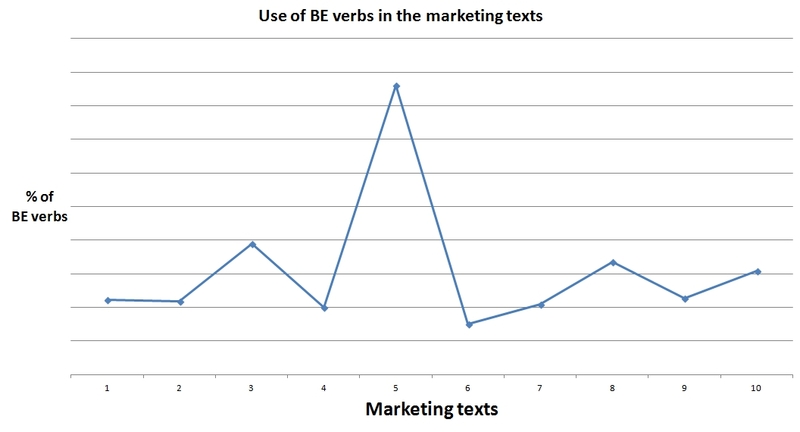 These are the frequencies of verbs and adjectives in marketing texts ordered by how well they performed. The ninth text is the worst and the rest are ranked based on how much better they performed than this ninth text. The third column shows the difference between the verb frequency and adjective frequency for each text (verb % minus adjective %). If it looks like a mess, that’s because it is. There is not much to say about using more verbs than adjectives in your copy. You shouldn’t worry about it. There is, however, something to say about the combination of nouns, verbs, adjectives, adverbs, prepositions, pronouns, etc., etc. in your copy. The ways that these kinds of words come together (and the frequencies at which they are used) will spell success or failure for your copy. Trust me. It’s what Econolinguistics was invented for. If you want to know more, I suggest you get in touch with me, especially if you’d like to check your copy before you send it out (email: joseph.mcveigh(at)gmail.com). In order to really drive the point home, think about this: if you couldn’t use adjectives to describe your product, how would you tell people what color it is? Or how big it is? Or how long it lasts? You need adjectives. Don’t give up on them. They really do matter. And so do all the other words.